Buying or selling jewelry should be a relaxed, safe, and secure process. 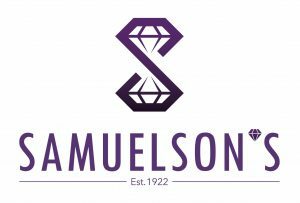 At Samuelson’s, we offer personalized private consulting sessions with experienced jewelry experts. If you’re interested in selling gold, silver, diamonds, luxury watches, or a piece of jewelry, we can provide you with more information about your valuable and will offer to purchase it for the best price of any buyer. We have the most unique and intricate selection of jewelry in the Baltimore area. Schedule an appointment today!